This is a black and white photograph of sap houses and trees in March of 1947. Two large trees are pictured in the center of the image. 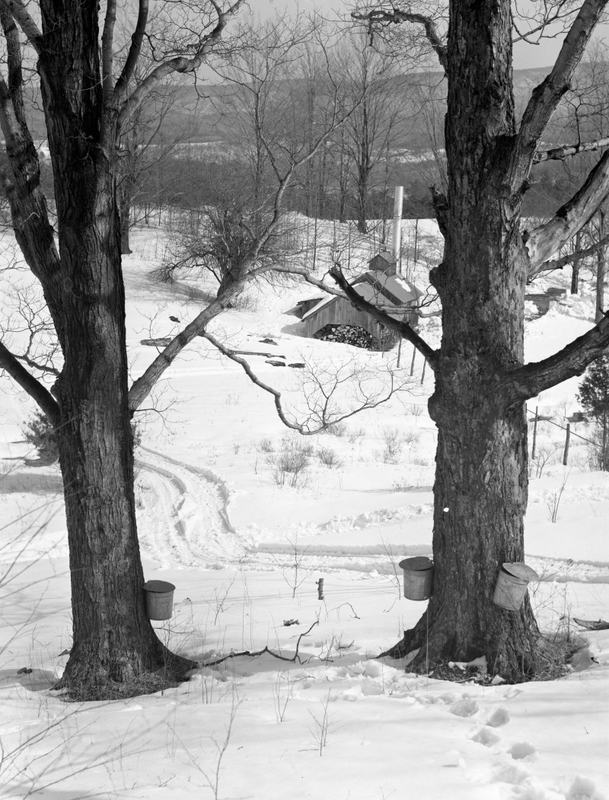 Tin buckets used to catch sugar maple sap are attached to the base of the deciduous trees. There is a sap house pictured toward the back center of the image. There appears to be a stack of fuel wood pictured in the wooden-frame house. Mountains are visible in the background of the image. Conifers and deciduous trees dot the landscape in the background.